I have a dream of someday selling the jewelry I create on Etsy.com. This may be impossible to do while living in Egypt, given the miserable postal services in this country, but this isn’t ever a problem in my dream. One of the more enjoyable hobbies I’ve adopted in the last couple of years is playing with wire and beads. It’s really challenging in a creative way, and very satisfying when the result is a beautiful necklace, bracelet, ring, or earrings. The beautiful colors of the beads are like eye candy to me, they brighten my day and make me smile. 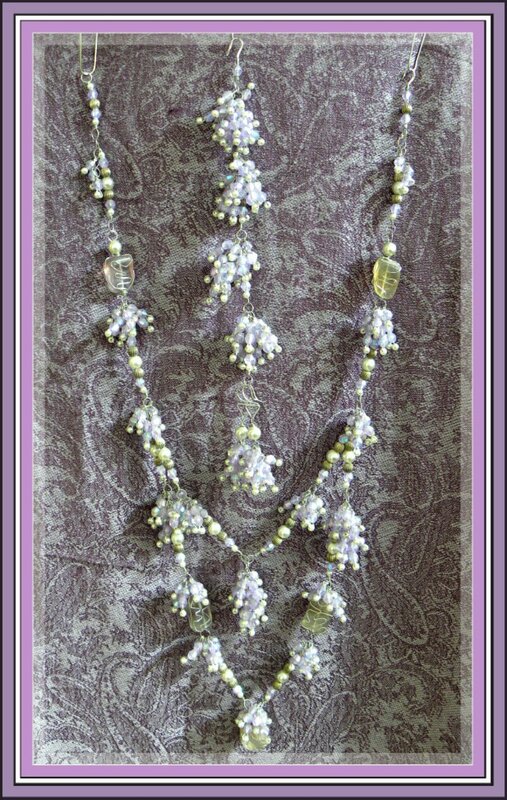 I hang my creations on a sheer white curtain stretched above my work table in my sunny little winter verandah, and my mood always improves by sitting at my table, enjoying the jewelry designs and colors.